FIled November 7, 2017, SDNY, No. 17-08644. AM General—the maker of HUMVEE vehicles—has sued Activision over Call of Duty’s inclusion of HUMVEE vehicles in various Call of Duty games. AM General claims trademark and trade dress infringement, among others. The complaint specifically mentions eight Call of Duty games, including Modern Warfare, Black Ops II, Ghosts, and Heroes. In addition to the video games themselves, the complaint also alleges infringement by the Call of Duty series of Mega Bloks and BradyGames strategy guides. 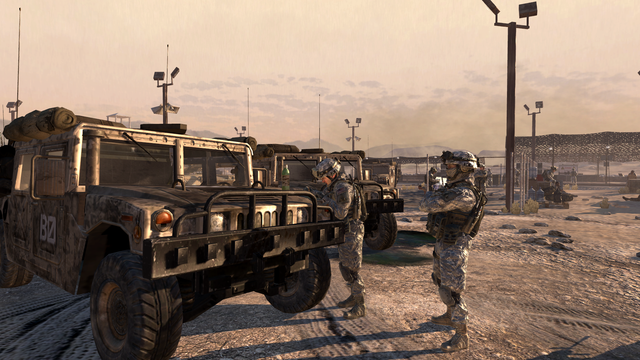 According to the complaint, the use of HUMVEE vehicles throughout the Call of Duty series is unauthorized. There are several issues at play in a case like this. Trademark and trade dress rights—which AM General is asserting here—are often at issue in video games. If the use of a mark creates a likelihood of confusion or dilutes/tarnishes the mark, it may be trademark infringement. Regarding likelihood of confusion, AM General claims that the appearance of their HUMVEE vehicles in Call of Duty games implies that AM General endorsed or sponsored the Call of Duty games. And for a massively successful franchise like this one—according to the complaint, the Call of Duty franchise has generated more than $5.2 billion in revenue—AM General obviously would be interested in the revenue generated by such a license. One issue may be whether in some cases consumers would be more likely to assume the mark owner endorses the mark’s use when the mark appears in a big budget AAA game—like Call of Duty—which might weigh in favor of likelihood of confusion. 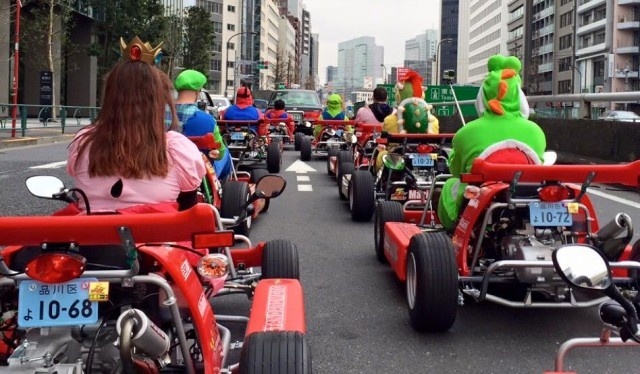 Another typical issue in these types of cases is whether the use of a particular product—e.g., a real-life vehicle—in a video game might dilute or tarnish a trademark protecting that product. The threat of tarnishment arises when use of a mark “conjure[s] associations that clash with the associations generated by the owner’s lawful use of the mark.” L.L. Bean, Inc. v. Drake Publishers, Inc., 811 F.2d 26, 31 (1st Cir. 1987). For example, if players can use HUMVEE vehicles in the game to run people over, AM General might see that as tarnishing the HUMVEE mark. Dilution occurs when a mark is used in a context other than the original context of the protected mark. 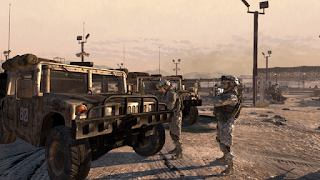 Since real-life HUMVEE vehicles are specifically designed for use in war zones, Activision might argue that a video game depicting the use of HUMVEE vehicles in a war zone may not tarnish or dilute marks protecting those vehicles.Another typical defense for video game developers is that the mark’s use is functional. When the mark’s use is functional or serving “other than a trade-mark purpose,” a mark holder might not have a winning infringement claim. Activision’s lawyers have not yet responded to the call of duty—at least in answering AM General’s complaint. But when they do, some of these defenses will likely be weapons in their arsenal. In the meantime, let us know below whether you agree or disagree with AM General’s claims against Activision. Thanks to Greg Israelsen for preparing this article. 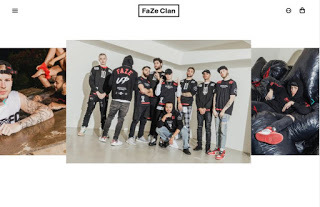 October 27, 2017, Epic Games, Inc. (“Epic”) sued three foreign individuals–James Mendes, Konstantin Vladimirovich Rak, and Oleksey Olekseevich Stegailo–for copyright infringement, trademark infringement, false designation of origin, breach of contract, and, under California law, unfair competition. Epic alleges that the defendants were distributing and popularizing cheats for the game Fornite. 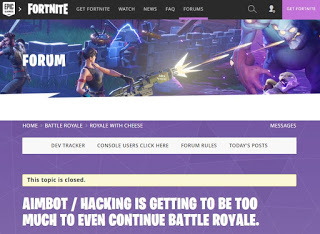 This suit may sound familiar: Epic filed similar suits against other alleged Fortnite hackers on October 11 and on October 17. Epic’s strategy in this case is similar to its strategy in its suit against Philip Josefsson and Artem Yakovenko: file a DMCA complaint against a video demonstrating the hacks, wait for the defendant to file a counter-notification, and use the counter-notification as basis for suing the defendant in a U.S. court. The timing of Epic’s lawsuits appears to be the result of the timing of the defendants’ counter-notification. developing the Apple II personal computer. Ed. – I checked and it’s too late to get into the speakerhats beta. Oaklawn Jockey Club Inc. et al. v. Kentucky Downs LLC et al. In their recent brief Appellees Kentucky Downs, LLC and Exacta Systems, LLC argued the Sixth Circuit should throw out the trademark suit brought by Appellants Oaklawn Jockey Club and Churchill Downs (“track owners”). Kentucky Downs operates a facility that offers historical horse racing for play. Kentucky Downs uses Exacta’s gaming system that allows people to place bets on historical horse races. The gaming system displays track owners’ names among other race information to its bettors. In 2010, Kentucky enacted a law requiring the location of the horse race be displayed after a wager is placed on a historical horse race. Kentucky Downs and Exacta state that the race location is most commonly identified using the track name and argue that the display of the track name does not suggest any sponsorship or affiliation with the track owners. In October 2015, the track owners filed suit in U.S. District Court for the Western District of Kentucky arguing that the display of track names on the Exacta system constitutes trademark infringement. In April 2016, the District Court found that there was no trademark infringement and instead found that the Kentucky Downs and Exacta’s use of track names was both a non-trademark use and a fair use. Following the District Court’s decision, the track owners filed their appeal in the Sixth Circuit on May 3, 2016. Exacta argues that the display of the track names is in a small, generic font that does not make use of any logo or stylized font that would demonstrate trademark usage. Additionally, Exacta argues that the use of the track names is a fair use because it is merely descriptive of the racetrack location. We will continue to provide updates as this case progresses. On Thursday, June 21, 2013, a group of current and former NCAA athletes sought class action status from a California federal judge. They allege that the NCAA violated anti-trust laws (as well as their right of publicity) by using their names and likenesses in television broadcasts and videogames without providing any form of compensation. District Court Judge Claudia Wilken asked attorneys for the plaintiffs to, “disprove the NCAA’s arguments that the players” had different levels of ability and fame which would create a conflict within the class. Attorneys for the NCAA also alleged that class status could not be granted in regards to broadcasts because the broadcasts do not feature every athlete on a team’s roster. The various lawsuits name the NCAA, game publisher EA Sports, and Collegiate Licensing Co. (a trademark licensing and marketing company). Trial is currently scheduled for February 2014. This case could be significant for EA because the NCAA players are seeking injunctive relief to prevent EA from continuing to make its NCAA series without providing compensation. In the event that this happens, EA will need to decide whether to continue making its NCAA franchise without using the likenesses of current players to market the game, or start paying a new license fee. We will update accordingly as more details come up. Bethesda and Interplay reached a settlement agreement regarding the “Fallout” trademark back in the January of 2012. The origins of this dispute trace back to September 8, 2009, when Bethesda filed a complaint alleging that Interplay had, among other things, participated in trademark infringement, unfair competition, false designation of origin, and breach of contract. Interplay filed its answer in October of 2009 along with counterclaims that include breach of contract, breach of the implied covenant of good faith and fair dealing, and tortious interference with prospective economic advantage. When the “Fallout” mark was first issued on August 8, 1998, Interplay had ownership and developed, manufactured, and distributed three games using the mark: “Fallout,” “Fallout 2,” and “Fallout Tactics: Brotherhood of Steel.” Interplay entered an Exclusive Licensing Agreement with Bethesda during June 2004 which gave Bethesda the exclusive license rights “to future uses of the Fallout property and its associated trademark.” On April 4th of 2007, Bethesda and Interplay entered an Asset Purchase Agreement (“APA”) and a Trademark License Agreement (“TLA”). Under the APA, Bethesda could purchase the rights to the Fallout mark for $5,750,000 while Interplay retained its exclusive right to manufacture, have manufactured, sell, and distribute the preexisting Fallout games. The TLA allowed Interplay to create a Massively Multiplayer Online Game around the Fallout franchise under two conditions: 1) Interplay must begin the “full-scale development of its FALLOUT MMOG” and 2) Interplay must have “secured financing for the FALLOUT MMOG in an amount no less than $30,000,000” by April of 2009. If Interplay failed to meet these two conditions, the TLA provided that Interplay would have to forfeit its license rights. When Interplay refused to relinquish its licensing rights and insisted on creating a Fallout MMOG through Masthead Studios, Bethesda initiated this lawsuit. In the January of this year, Bethesda and Interplay finally reached a settlement in this trademark dispute. Bethesda now owns the rights to create a Fallout MMOG and Interplay has forfeited any right to Fallout intellectual property. Interplay will be allowed, however, to manufacture, sell, and distribute the preexisting Fallout games through 2013. 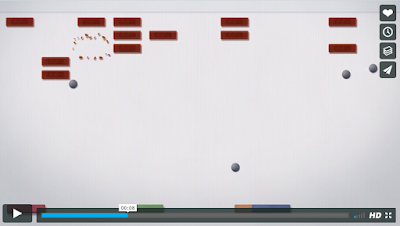 Hernandez v. Internet Gaming Entertainment, LTD.
United States District Court for S.D. Fla.
Much like Blizzard v. In Game Dollar, this case was about virtual property transfer in the MMORPG World of Warcraft (WoW) for real-world money. The main difference is that this suit was filed by an individual player rather than the owner/operator of the game, as was the case in Blizzard. Hernandez, an avid player of WoW, filed suit on May 31, 2007 against Internet Gaming Entertainment, LTD. (a Hong Kong-based company) and IGE U.S. LLC., both of which were companies “engaged in the business of generating and selling virtual assets.” IGE, LTD. was later dropped because it couldn’t be served with the lawsuit in time, leaving IGE U.S. as the sole defendant. Hernandez filed a class action suit on the behalf of U.S. WoW subscribers, which he estimated could be as high as 2 million people, seeking an injunction and monetary damages. Hernandez filed for class certification on May 19, 2008, but the parties settled before certification occurred. On August 26, 2008, Hernandez and IGE U.S. filed a joint stipulation of settlement in which IGE U.S. denied any wrongdoing but agreed to refrain from selling WoW virtual property for five years. It’s unlikely that this agreement will impact IGE.com’s business (WoW gold is still being sold on the site) because IGE U.S. doesn’t actually operate IGE.com. Apparently IGE U.S. had sold all its assets to Atlas Technology Group six days before the lawsuit was first filed, so IGE U.S. was probably the wrong party to sue in the first place, but since IGE, LTD. was dropped early on and the changes to IGE U.S.’s corporate structure weren’t clear at the time, this outcome was probably the best possible based on the factual background they were faced with. In a previous motion, Hernandez had asked the settlement to be filed under seal. In the order enforcing the settlement, the court denied the seal, saying the public interest must be considered. Courts are cautious about allowing a settlement under seal when class certification is still pending because courts don’t want one party to settle for a high amount that leaves the rest of the injured potential parties without remedy/damages. This court stated the settlement should be under seal only under extraordinary circumstances and said the parties could submit briefs to attempt to prove such circumstances. As a last note, the class was never certified so the agreement – and the case being dismissed with prejudice – only holds for IGE U.S. and Hernandez. Any other WoW subscriber can file a suit against IGE (or perhaps Atlas or whoever is the operator of IGE.com) and attempt to take the case further than Hernandez did. Although both this case and Blizzard ended with settlements, it seems the door is still wide open for future litigation on illicit virtual property sales in WoW. For more analysis over the life of the case, see Virtually Blind. A complaint was filed against numerous competitors with the U.S. International Trade Commission by Midway Mfg. Co. alleging common law trademark infringement, passing off, imitation of trade dress, false designation of origin, and copyright infringement. The complaint sought cease and desist orders against domestics respondents and exclusion orders against international respondents. The products in question were coin-operated audiovisual games and components. Midway purchased from Namco exclusive rights to manufacture and sell within the United States “Galaxian,” a game introduced in Japan in 1979. 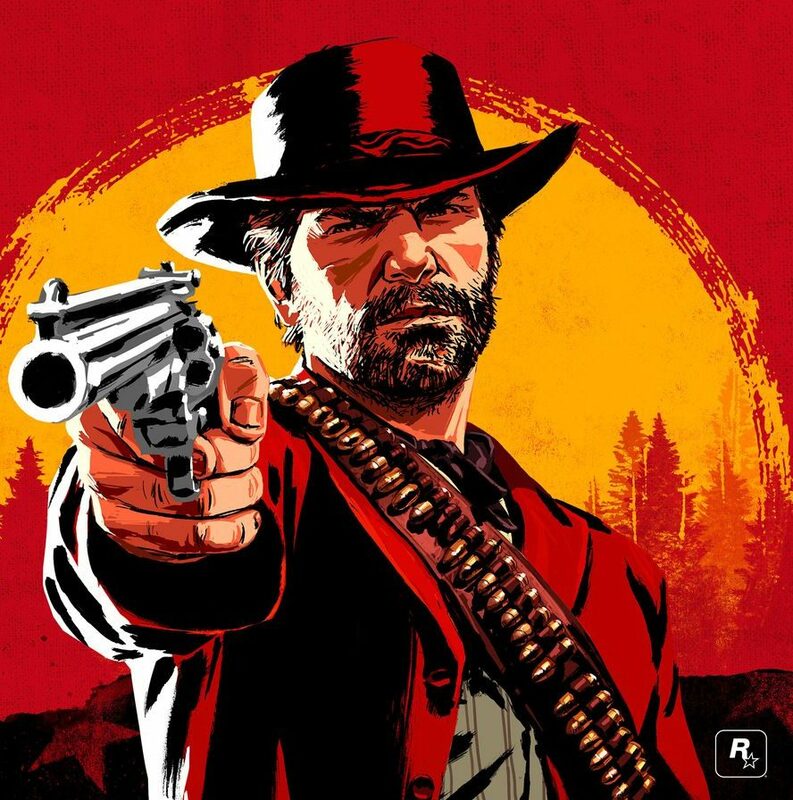 The agreement prohibited any changes to the game itself and limited those pertaining to the game’s trade dress. An ITC attorney did an investigation, the results of which the court often notes. This decision was based purely on evidence produced by the claimant, so the findings were rebuttable. The court found that the term “Galaxian” was protectable as a common law trademark because it was arbitrary and distinctive in it stylization, lettering, and coloring, making it exempt from proving secondary meaning; it is also nonfunctional. After establishing these facts, Midway had to prove a likelihood of confusion to be successful on this claim. The court stated that the consuming public playing the game was irrelevant since they did not care who was the manufacturer, but instead focused on those companies and individuals purchasing consoles directly from the manufacturer. The court decided that those games using the word “Galaxian” did create a likelihood of confusion and infringed. The court also found that those games using “Galaxy” and “Galaxip” also infringed because of the similarity in the words along with the similarity in gameplay. Regarding the claim of false designation of origin, the court found for Midway against those respondents that did not conspicuously present the manufacturer’s name on the screen and console. The court also found that there was copyright ownership of the game. Midway proved originality since they purchased the rights from the creator Namco and validity by providing the copyright registrations. There was no direct evidence of copying, so the court examined whether there was prior access to Galaxian and substantial similarity between it and the other games. 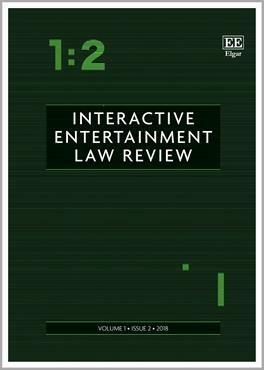 The alleged infringing games were released subsequent to trade show displays and the release of Galaxian, therefore, the court found that access existed. Determination of substantial similarity is much more difficult to quantify. The court cited the “ordinary observer” test where such a relationship is found when someone not attempting to discern disparities would regard the aesthetic appeal as the same. Another test cited was two-pronged, which first looks at the general ideas of the works, and second, examines the response of the ordinary and reasonable person. The court found that all but one game was nearly identical, and further found the remaining game substantially similar under both tests because of its rolling star background, shape and color of aliens, alien formation, movement of aliens while attacking, and scoring table. There was clear evidence of damage to the Galaxian sales by Midway. The court found the in rem remedy of exclusion appropriate as it was created to overcome the problem of in personam remedies against foreign companies that have no offices or assets within the United States. The court granted an exclusion remedy directed at those games that clearly infringed on the common law trademark by using “Galaxian,” “Galaxy,” or “Galaxip.” Concerning the copyright claim, the court limited exclusion to those parties that have been specifically identified by the court as infringing. The reason for the limitation was to ease the process for Customs, as it would be exceedingly difficult to have them determine whether a game infringed on Midway’s copyright. The court denied the use of cease and desist letters to domestic respondents as they were all distributors and since no evidence of stockpiles existed, such a remedy would have been unnecessary given the exclusionary order. Thanks to Adam Trost for his assistance in the preparation of this case summary. A complaint was filed against 35 respondents with the U.S. International Trade Commission by Midway Mfg. Co. alleging common law trademark infringement and copyright infringement with respect to the games Rally-X and Pac Man. The subject of the copyright claim was the audiovisual work of the two games. It included the screen display of mazes and characters along with their sounds, but did not include the circuit board that stored the audiovisual work or the pattern of game-play. To prove copyright infringement, Midway had to prove ownership and copying by the respondents. Within the ownership prong, among other factors, the audiovisual work must be subject matter that is copyrightable. Artic, one of the respondents, argued that the audiovisual work was not proper subject matter because it was not fixed, meaning that a user could not know or predetermine the sequence of images and sounds since they were dependent upon interaction with the user. 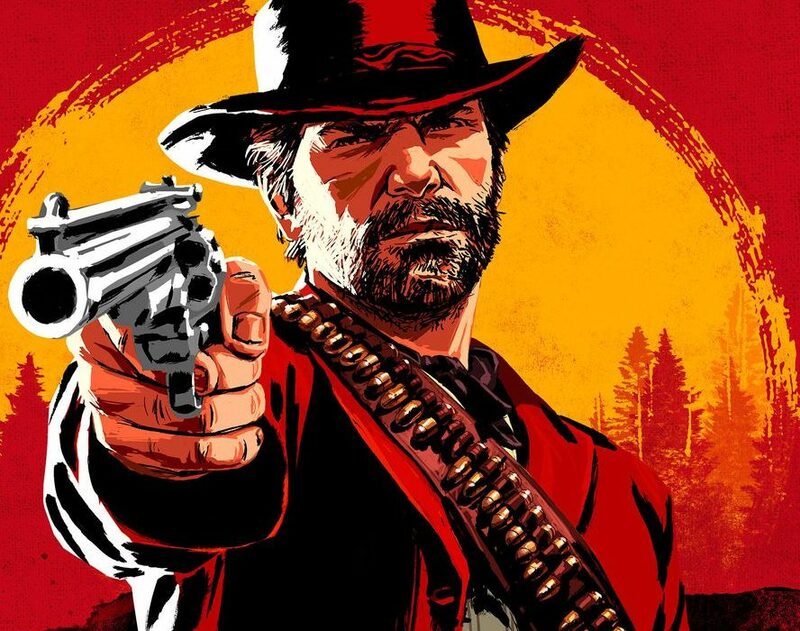 The commission rejected this argument stating that the audiovisual worked was fixed in the fact that it was stored in memory and the repetitive appearance of characters and sounds was sufficient regardless of whether the exact audiovisual sequence was displayed each game. Artic further tried to rebut Midway’s copyright by alleging lack of notice. Midway was able to produce printed circuit boards that had the required copyright information. Artic testified seeing the games earlier outside the U.S. without such information, but the commission held the physical evidence as more persuasive and stated that Artic may have seen a counterfeit version. Concerning the copyright’s deposit, the commission made it clear that a videotape was sufficient for audiovisual work even though the typical requirement was a complete copy. Once ownership was established, copying subsequently was easily found as the two games were nearly identical to the respondents’ games. Artic opposed the common law trademark infringement claims on three grounds. First, they said that Midway had not established its mark in all fifty states, but the commission cited the nationwide advertising to reject this defense. 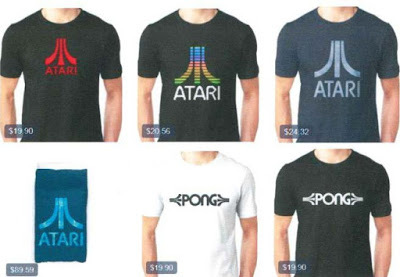 Second, Artic claimed that “Pac Man” and “Rally-X” were titles and thus, could not be proper trademarks. 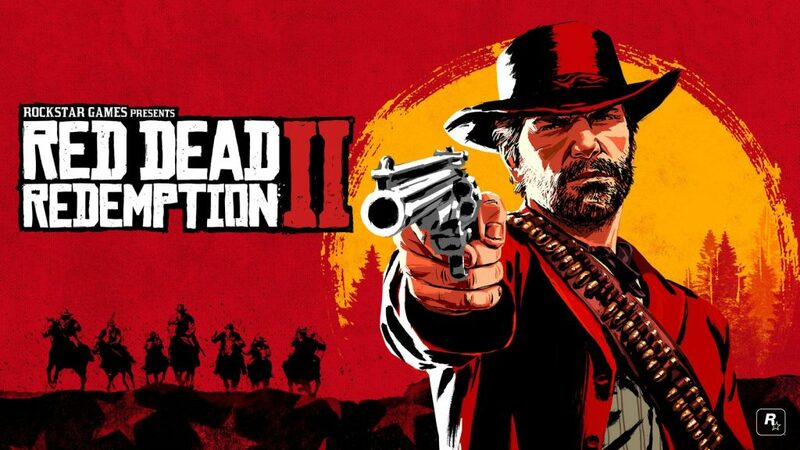 The commission rejected this because they were not merely descriptive of the content of the games, but were names by which the games were traded and sold. Lastly, Artic argued that the names described functional aspects of the game, but the commission concluded that the terms had not gained generic status and remained arbitrary and distinctive. In determining remedies, the commission found that there was a domestic market for Pac Man that had been efficiently operated and that the infringing games did substantial harm to the market. Conversely, they found that there was no longer a domestic market for Rally-X, as it had permanently declined in popularity in sales and the infringing goods did not substantially affect the market. Thus, concerning Rally-X, the commission did not reach the injury phase due to the lack of a domestic industry. However, concerning Pac Man, the commission issued a general exclusion, agreeing with Midway that cease and desist orders would be insufficient as many new infringers would otherwise likely import games into the U.S. market.